Our seed collected in partnership with John Holland Country Regional Network has been collated and handed over to Tom North, National Seed Bank Curator at the Australian National Botanic Gardens. Work will begin on the woodland species Creamy Candles (Stackhousia monogyna), Black-anthered Flax Lily (Dianella revoluta) and Smooth Flax Lily (Dianella longifolia) to better understand their seed storage behaviour and germination biology. The research will be conducted by Honours student Gabrielle Vening from Charles Sturt University, who’s project aims to develop improved germination protocols that will assist conservation seed banking and make the species more viable for use in restoration activities. Mid Lachlan Landcare is pleased to announce our new project with John Holland Pty Ltd Country Regional Network. Over the next few months, in partnership with Young District Landcare, we will be locating and collecting seed from three woodland plant species considered to be significant components of White Box-Yellow Box-Blakely’s Red Gum Woodland, one of Australia’s most threatened vegetation communities and local to our area. Creamy Candles (Stackhousia monogyna), Black-anthered Flax Lily (Dianella revoluta) and Smooth Flax Lily (Dianella longifolia) are being targeted because they have shown to have a poor response to germination. Collected seed will be tested for germination and dormancy at the Australian National Botanic Gardens. It is hoped that the tests will inform on ways to improve germination so that these plants can be included in planting and direct seeding activities in future restoration projects. 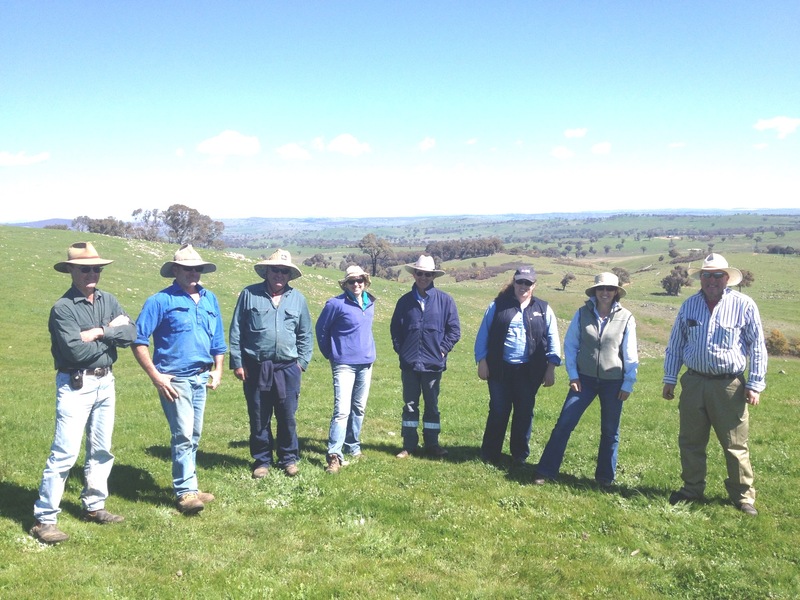 Mid Lachlan Landcare had the pleasure of hosting a field trip for delegates at the recent NSW Landcare and Local Land Services Conference held in Orange. The conference theme was “From the Ground Up” and was celebrating the International Year of Soil. MLL’s field trip visited productive farms where solutions to a number of NRM issues are being applied. Our farmers were able to showcase how we can design farms to have multiple on and off site NRM benefits while also producing healthy food and maintaining viable businesses, and how specific techniques and actions are being used to restore ecological function. The field trip also described how MLL is undertaking real capacity building with a range of partners and clients, and included a visit to the internationally renowned Age of Fishes Museum to get up close and personal with local fossils which showed how changes in climate can affect the progress of species. Huge thanks to our speakers and helpers on the day – Ian Packer, Andrew Wooldridge, Ian Cooley, Scott Hickman, Wendy Bowman, Warren Keedle, Shaley Allen, Casey Proctor and Vanessa Cain. 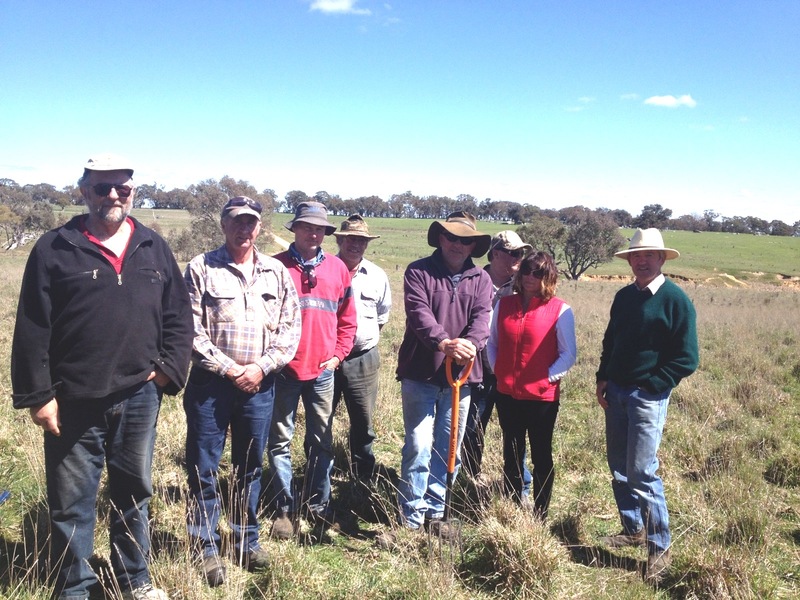 Our recent field day at “Talinga” Woodstock attracted 60 people from as far as Merriwa and Sydney. Our guest speakers were Brian Wehlburg, a certified holistic management educator that delivers grazing management courses to a diverse range of groups. He also runs his own pasture grass-based beef, pork and egg enterprise. Gus Hickman also spoke to attendees, providing an insight into the transformation of “Talinga”. At the field day, Brian talked about the importance of covered soils all year round and having a range of grasses and plant species in our landscapes. He also talked about the challenges faced when moving away from repetitive systems towards natural processes. The focus should be on working with the landscape and farm ecology. Brian highlighted the importance of reducing production costs by utilising things that are provided to us for free such as sunlight, oxygen, water, soil and biology. By enhancing those processes with the use of grazing animals, they assist in landscape regeneration and contribute to profitable farming businesses. Brian explained that to make sure our businesses and ecology are moving forward, constant monitoring is required, he said “It’s critical to be managing our businesses and landscapes by a plan, monitor, control, and re-plan process”. He also stressed that planning is an essential component, all levels of management should be consulted in order for clear goals to be set. Gus Hickman spoke passionately about the journey his family has made at “Talinga” over the last 20 years. Moving towards a bio diverse landscape has helped improve their profitability, build resilience in the landscape, and provided a sense of achievement and enjoyment. Following the field day, a paddock to plate dinner was held at The Oxley Wine Bar in Cowra for those attendees interested in marketing and selling their own brand. On the menu was a range of local produce including free range, holistically managing chicken from Carbeen Pastured Produce at Cudal and holistically managed lamb from “Oatleigh” Canowindra. Forty people attended to hear Brian’s story on his own Kindee Valley Farm products and his reasons for marketing his own produce. Know your consumer – farmers markets, demographics, what do they care about? 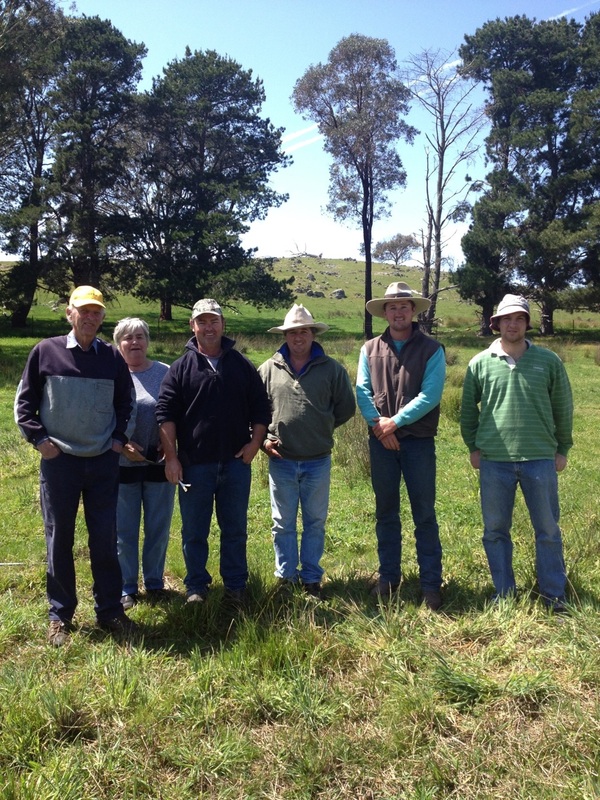 Mid Lachlan Landcare would like to sincerely thank Brian for providing his time and knowledge. Thanks also to Gus and Anna Hickman for hosting the field day and to The Oxley Wine Bar for preparing and hosting the dinner.